And if worms had machine guns, birds wouldn’t mess with them. I certainly hope that’s a Mega Blocks sized AR model, not the real McCoy. That really would be terrifying. So there I was, in Iraq. 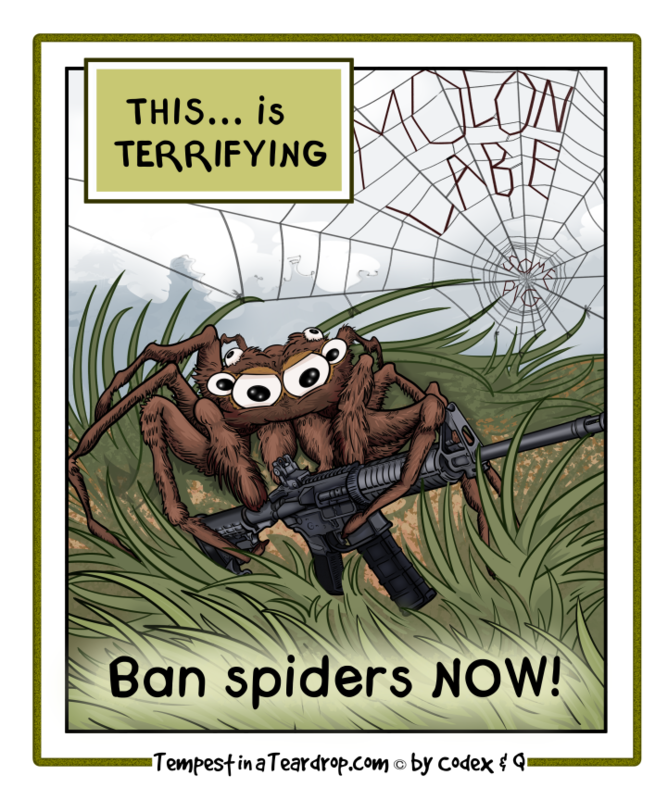 An entire deployed SF A team was terrified of a Camel Spider on the ceiling of the main room of the house. They were debating the best way of dispatching it before it killed them all. Couldn’t shoot it, because concrete walls and ricochets. Eventually, one brave soul ran away, and came back with a giant can of spider and wasp killer. He emptied the entire can from max range (15-20 feet) onto the spider. Then we all waited five minutes. The spider didn’t budge. Then an even braver soul (these were Special Forces, after all) got a broom, and gave it a good whack into an empty 5 pound coffee can. It had finally died, keeping its attack posture steady the entire time on the ceiling. Sounds like everyone involved deserves a big, hairy medal!